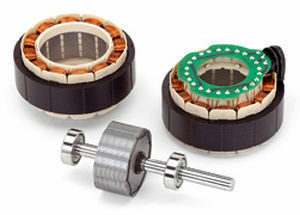 The new EC motor of the BG 43 series from ebm-papst is an EC motor with L robust technology. It unites high efficiency with exceptional noise characteristics. In addition, it is applicable on tangential blowers for underfloor convection heating, cold/hot air door curtains and air-conditioning units and on pump drives, for example for heating engineering and medical technology.